The economy of Singapore witnessed stupendous growth in the first quarter of 2018 owing to strong performance of the manufacturing sector. It increased the GDP of the state by 4.3 percent. The growth is much higher than the 3.6 percent growth reported in the final quarter of last year. It certainly made a tremendous impact on the best performing ETFs Singapore. ETF (Exchange Traded Funds) is the investment security that serious investors mostly look up to for investment. Due to strong inflation, however, the Central Bank of Singapore had to make the monetary policy stricter first time in the last six years. The changes in the economy of Singapore across the world have certainly impacted the way people are investing especially in ETFs Singapore. ETF’s have massive inflows at the global level. 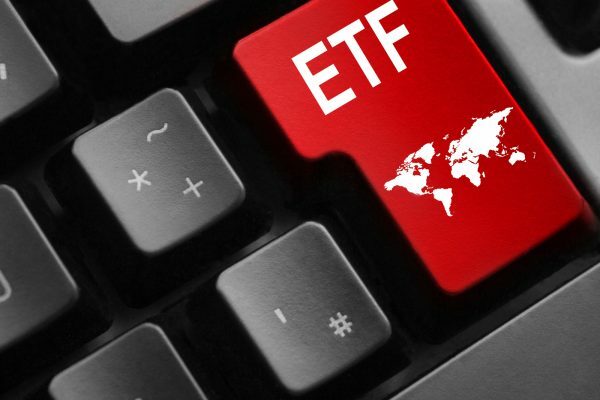 First introduced in 1993, ETFs are popular because of their multiple advantages including broad diversification, low-cost structure, and easy liquidity (purchasing and selling). In this aspect, ETFs are almost similar to stock listed on the stock exchanges with global recognition. 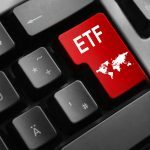 Some of the different types of ETFs include stock ETFs, index ETFs, Commodity ETFs, and Bond ETFs. For investing via stock market an investor needs to have a brokerage account. POSB, OCBC, PhillipCapital, and Maybank offer RSPs under which investors can begin by investing a minimum amount of $100. This ETF follows the Straits Times Index. It gives the investors instant access to the topmost blue- chip heavyweights from Singapore. These biggies include UOB, DBS, and Singtel. The index suffered heavily during the Global Financial Crisis in 2008/2009. However, from hitting the lowest 1700 points it recovered to 3307. That is why the SDPR Straits Times Index ETF boasts of having an effective 8 percent CAGR since the past 8 years. It is the best Singapore 2018 ETF for investors looking for long-term investment. Investors interested in making their finance portfolio by investing in Singapore 2018 ETF can think of investing in Xtrackers MSCI Singapore UCITS ETF. The index contains big names from the corporate sector of Singapore including Keppel Corp, Ascendas REIT, and Capitaland. This particular ETF offers the investors a cost-effective option so that they can participate in the long- term economic growth of Singapore. According to forecasts, the Japanese economy will do well in 2018. Rather, the forecasts are already coming true as the exports indicator indicated its growth by 12 percent. Japan’s economy is witnessing surge at the moment. Apart from that the loose monetary policy caused top-level businesses to invest. Labor markets continue to remain strong and the employment rate is quite low at around 3 percent. It indicates that the Japanese equities could be one of the best bet for someone planning to invest in the best ETFs in Singapore. One such ETF 2018 is Xtrackers MSCI Japan UCITS ETF. Since its inception, the fund received a return of 27 percent. Tracking on the MSCI Japan, it has several blue chip stocks from Japan as its index constituents including Honda, Nintendo, Sony, Toyota, and Motor Corp. Interestingly, in the past two years, Japanese equities witnessed a strong flow of funds due to huge exports and low-interest rates. The U.S. economy prospered in 2017 and made headlines. Similarly, improvement in the U.S. economy also lifted the country’s equities. Economists anticipate further growth in 2018 at around 3 percent. Apart from that, cutting of corporate tax by the U.S tax authority will also stimulate the economy of the U.S. in 2018. U.S Federal Reserve’s faster interest rate hikes and changes in monetary policies led to a selloff of global equities at the start of February 2018. But ever since then the equity market has recovered and stabilized. Interestingly, many investors see this dip in the equity market as a good opportunity for accumulating ETFs of fundamentally strong companies based in America. Singaporean investors wanting to invest in ETFs 2018 that offer vibrancy of the US economy can invest in [email protected] S&P 500® ETF. It comprises of best corporations from the U.S. with the potential to offer increased dividends and rewards to the investors. Another option for investors looking to invest in best performing ETF’s Singapore is SPDR® Dow Jones Industrial Average ETF. The index pioneered index tracking and as of now tracks 30 US big corporations. The names include Amex, Coca-Cola, and Microsoft. It offers diversified options from various sectors including consumer staples, oil, and gas and technology. Investors can earn a decent amount by investing in this index. Interested investors can also divert their fund into Lyxor ETF Nasdaq-100 if they wish to track heavyweights in NASDAQ-100 index. The names include some familiar names that are big and famous such as Facebook, Alphabet American, and Apple Inc. These three companies are the leaders in the global internet economy and attract revenues from all over the world. Incidentally, youngsters favoring technology and aware of these big names can find this ETF most suitable. It is a Chinese ETF managed by UOB Asset management and is a good option for investors looking to invest in Singapore 2018 ETFs. China is the world’s second largest economy next to America. The planning and relentless pursuit of economic advancements for Chinese citizens is the main reason for its rapid development. United SSE50 China ETF replicates SSE50 index in price performance. The index constitutes 50 topmost Chinese corporations. Investors investing in these listed Singapore ETFs 2018 can receive good rewards in the long term due to the reduction in management fees in comparison to traditional mutual funds. That makes, these best performing ETFs of Singapore best option for investment in 2018. These SGX-listed ETFs performed the best in 2017. This is why.